25 March 2019 // The new IF Membership Guide is ready! As approved in the last IF General Assembly in Madrid, we launch the new membership structure! It includes more transparency about IF’s network structure and new membership categories. The document is also a guide for those who want to become a partner of IF, taking advantage of all the benefits that the membership offers. It is therefore addressed to organisations, institutions, companies and individuals that have an interest in spina bifida and/or hydrocephalus (SBH) and that aim to widen the extent of their activity. 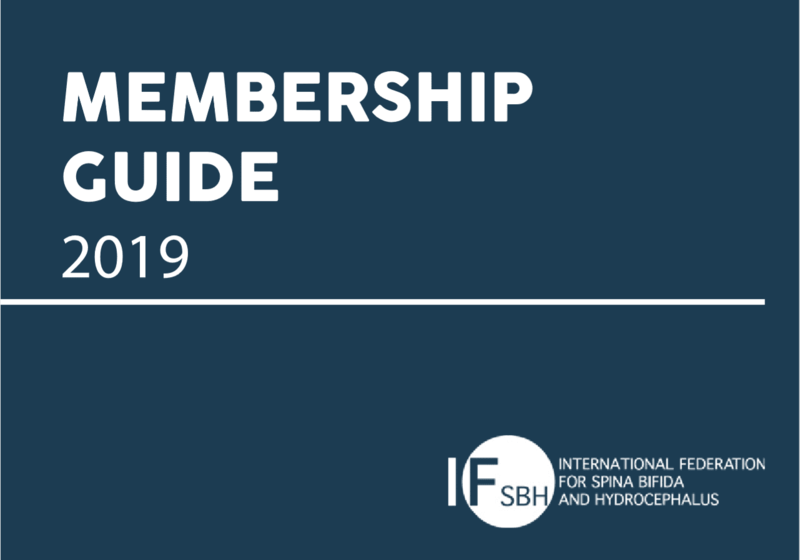 Becoming a member of IF allows you to be part of an international network of national and regional organisations, medical professionals and experts, and offers access to information, advice and data about SBH-related topics. Our members have the opportunity to make their voice heard within the network, and can benefit from the liaison that IF has with European and global forums. Representatives of SBH associations are also eligible for leadership positions, shaping the activity and the objectives of our organisation. Read our Membership Guide 2019.